Among the finalists of the 2017 Wildlife Photographer of the Year competition, one image by Justin Hofman was particularly poignant in illustrating the effect the beauty industry has on marine life: a dainty seahorse bouncing along in the ocean with its tail clasped round a plastic cotton bud twice its size. Plastic ones are obviously a no-no. Instead, choose some made with paper. Muji’s are very finely tipped and beloved by many make-up artists. 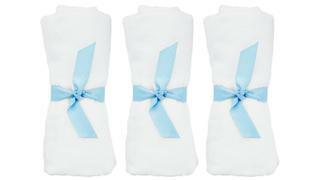 They come recommended by the Cotton Bud Project, a Scottish charity that is campaigning to ban plastic ones altogether. Wherever possible, avoid cotton pads. Flannels are a better – and more luxurious – option for your cleansing routine: a quick wash (with an ocean-friendly detergent) and they’re ready to go again. Nowadays you’ll be hard pressed to find a beauty product containing microbeads: after news of their effect on the ocean caused widespread outrage, most brands have reformulated accordingly to offer ocean-friendly exfoliators. 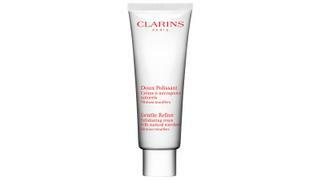 Clarins was among the first to cease manufacturing products containing this ingredient back in 2014, replacing it with cellulose, which is extracted from tree bark and is 100 per cent natural. These are as unwelcome as plastic buds and their combined menace along beaches is no laughing matter. In the UK alone last year, 27 wet wipes were found for every 100 metres of coastline, an increase of 94 per cent from the previous year (and more than 18,000 unflushable items, including cotton buds, wet wipes and sanitary towels, were found during the 2017 Great British Beach Clean Weekend). 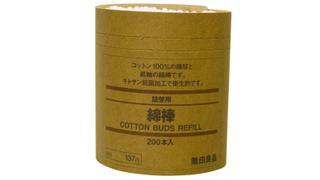 Alternatively, try biodegradable ones. If you’re using a sunscreen while swimming in the sea, and it is not labelled as biodegradable (most of them are not), then some of it is almost certainly washing off and harming the corals. The major ingredient to avoid is oxybenzone, and several Mexican beaches are banning entry to those with non-biodegradable lotions. 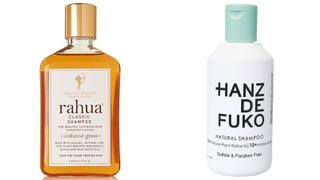 Nowadays, many shampoos are SLS-free as they can occasionally cause skin irritation and some fear other health risks. But it is now believed that SLS can have a toxic effect on aquatic organisms, so try to avoid them. The simplest thing to do to reduce waste is opt for glass over plastic packaging whenever you can. That said, Bybi, a great natural and organic skincare line, uses tubes made from biodegradable sugar cane. This is another sea menace, though one that is also becoming unfashionable in beauty products. 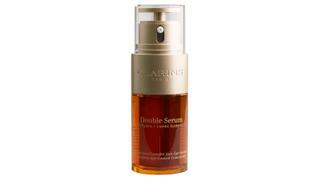 Clarins, for instance, recently reformulated its Double Serum to exclude it. Mineral oil is like petroleum, (it is a by-product) and difficult to get rid of once it’s in the sea.